Unique to St. Augustine, Florida, the Datil pepper is both sweet and spicy and can range from medium hot to fairly hot. A quick Google search turns up less than a dozen Datil sauces, so it’s both unique and rare, as hot sauces go. 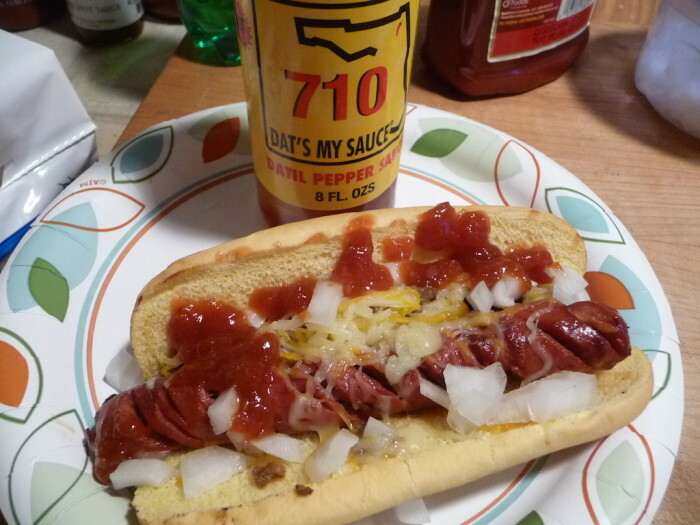 710 Dat’s My Sauce Datil Pepper Sauce is made with the famous Datil Pepper and they nail it! 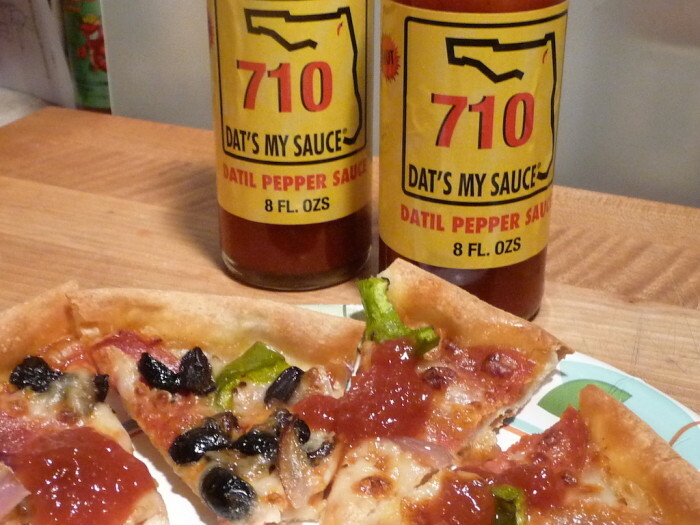 A Southern family recipe that’s been passed down for generations, 710 Dat’s My Sauce is an original Datil pepper sauce made with locally grown ingredients. Packed with a unique sweet heat, it’s good on just about anything! Texture & Appearance: Bright red in color, this very shiny sauce is medium thick and quite pulpy. Very nice mouth feel. Beautiful. Taste Straight Up: Very sweet followed by a nice mild vinegar hit, onions, garlic and spices are up next with a slow finish of heat. Delicious. 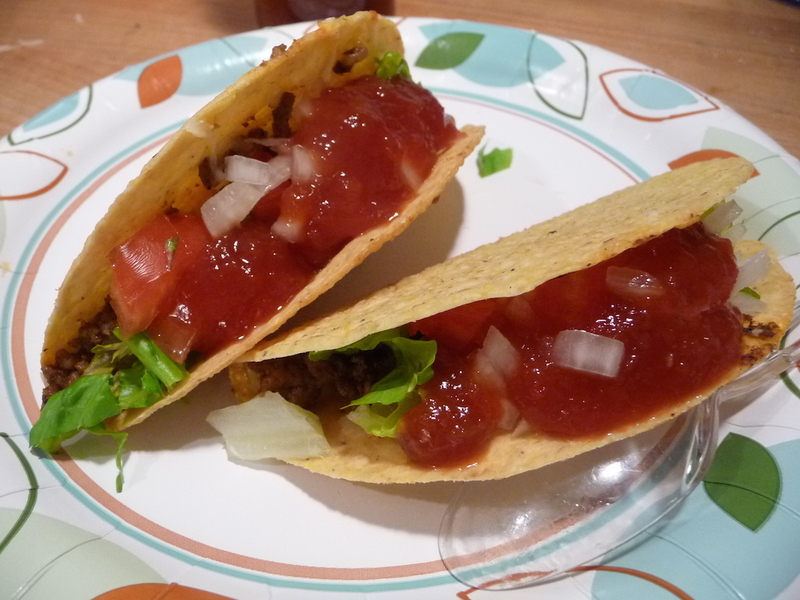 Taste on Food: Perfect on tacos or burritos. Datil pepper sauces are some of my favorite hot sauces for tacos. 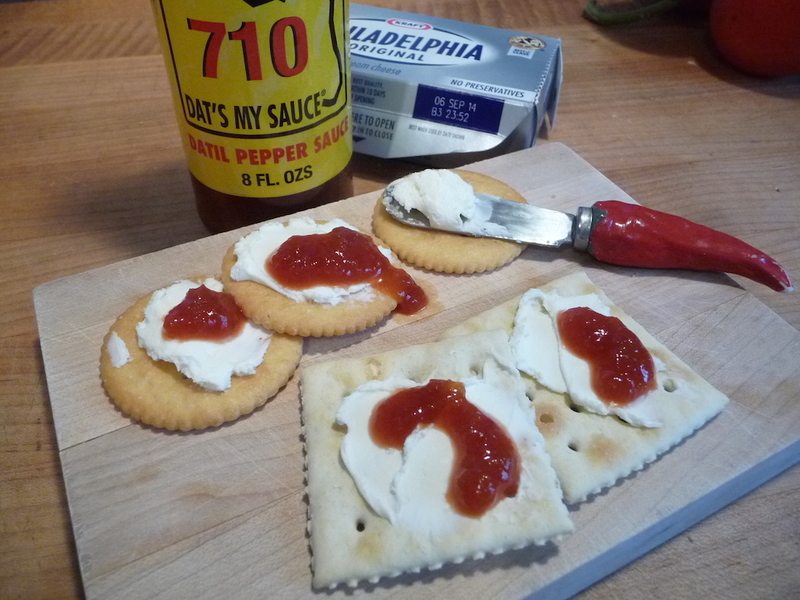 710 Dat’s My Sauce is a huge winner here. Perfect. We tried it poured onto simple cream cheese and crackers – just a few drops for those bites made a nice appetizer. Heat Level: The label says “Hot” – I would rate it a 2.5 out of 5. If I had a 2.75 graphic I’d go that far. The heat comes on slow and reaches a peak that doesn’t last too long. The burn is quick and flavorful. Unique. Graphics/Packaging: The nice big 8 ounce bottle is a plus, as it has a generous opening. A label doesn’t get much simpler than this. But you know exactly what’s in the bottle – especially if you are looking for a Datil sauce. I’m ok with the 3 color label, but I was curious about the design. Not having been to Florida since I was 15, I was clueless. Do you know what the label design is based on? Listen to the short interview with Mr 710 himself, Bruce Peterson, at the bottom of this post to find out. Heat Level: – As I said, I’d go to 2.75 on the heat, but we have no graphic for that. But then again, it’s me just trying to push the heat level rating just a tad past the middle. Medium hot. 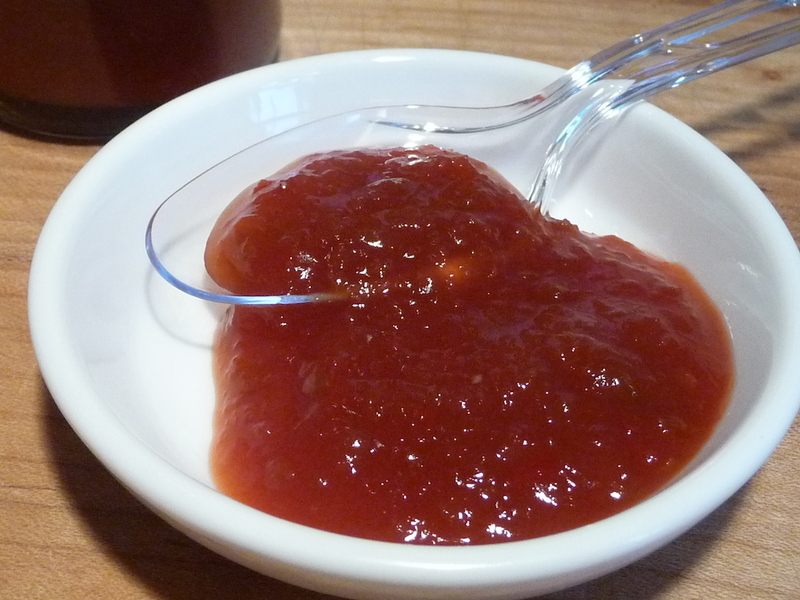 Overall Rating: – This fantastic sauce gets our highest rating for its flavor and great packaging. Stellar. 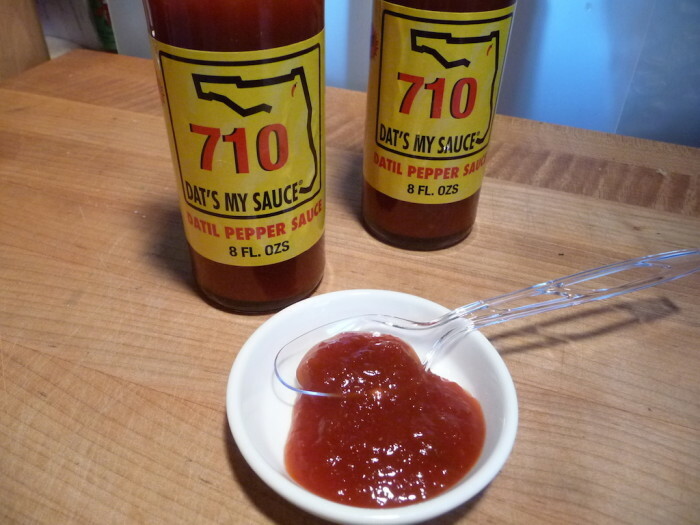 Visit http://710datsmysauce.com/ to buy a couple of bottles (yes, get a few… it’s so good that it will go fast) and for more information about this delicious sauce and the history and people behind it. 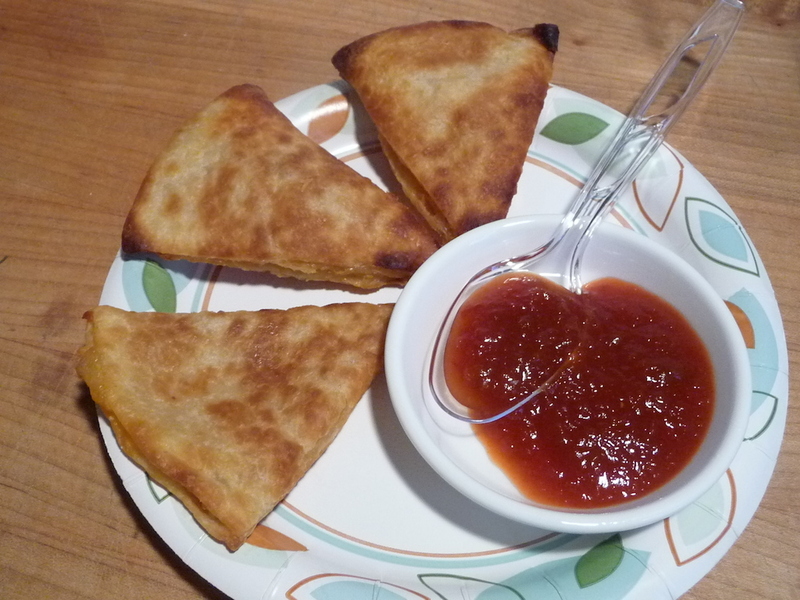 They also have a nice recipe page that you can check out, and please tell them HotSauceDaily.com sent you! 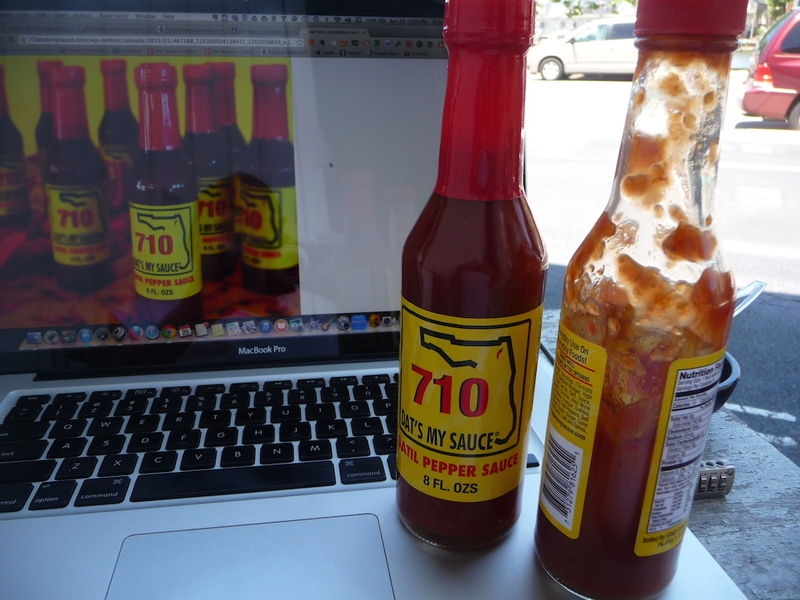 Here’s my 8 minute interview with Bruce Peterson of 710 Dat’s My Sauce Datil Pepper Sauce. Enjoy! Got your review and I must say we are pleasantly surprised! Your kind words ,regarding our small product, makes us feel we are doing it the right way! Thanks again and stay in touch. I was just in St Augustine last week (grew up nearby) and I’m a big fan of Datil peppers. The first one I remember was Datil Do It or something like that. I’ll have to order a few bottles. Thanks, Chris… Datil Do It has some great products!